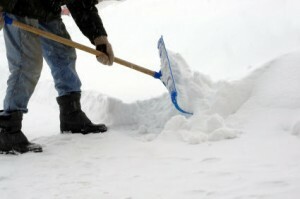 This winter when it comes time to clear the driveway of the latest snow dusting, use a shovel instead of a snowblower. This is not only quieter but it is also more eco-friendly, plus cost less money in fuel. And not to mention it gives you a good work out, so you can skip the gym. I have no use for this knowledge. I live in Florida, but interesting nonetheless. Well bucket, maybe you could go green by using a push-mower instead of a gas powered mower. Of course in upstate NY, they got so much snow, a snowblower wouldn’t have worked anyway. So, shoveling was the only method they had. 🙂 Think of all the CO2 emmissions that were prevented! I vote for the shovel instead as well…no excuse to be lazy about it, right? ?